Skin tags can be incredibly annoying to have hanging around. 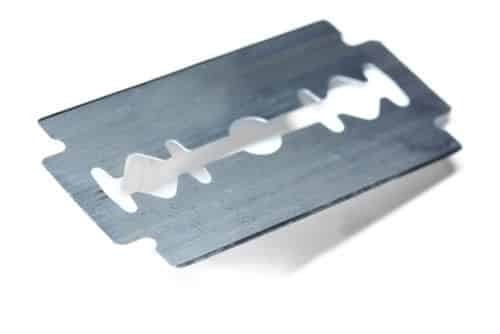 These little things can be really unsightly when looking in the mirror and seeing one growing out on your skin. It’s crazy, skin tags themselves seem like they sprout up overnight! If you have them growing on your neck, near your armpits, or even in the inner groin area, heck – even eye lids, don’t fret this is actually pretty common as they mostly grow in the folds of your skin. In addition, just about everyone will grow a skin tag in their lifetime. In fact they are so prevalent, some people might have up to 100 skin tags at a given time! Once you remove one it’s gone for good, and you don’t have to worry about it regrowing at all. However, as mentioned on how often they occur above, you can definitely have one grow near the same area time after time again. Removing skin tags is actually not as hard as it might seem. So how do you get rid of skin tags? We’ll cover that below, but first lets go over what causes skin tags to grow in the first place. First and foremost, its important to hammer home the point that skin tags are very common. No matter race, gender, or age, they can show up in anyone and everyone – no one is excluded. 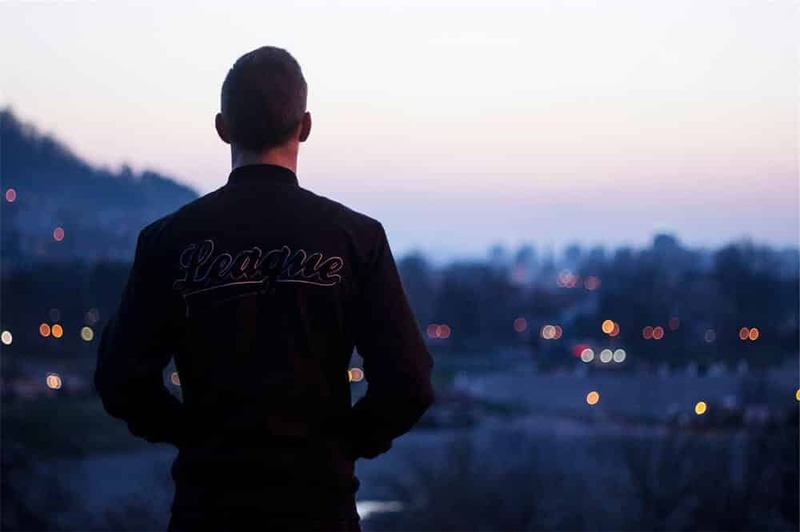 Generally speaking, most people who do get skin tags are in the older demographic (north of 50 yrs old) – however, it is not uncommon at all to develop them at an earlier age (personally I had a few when I was only 20). As we touched on a bit in the previous section – skin tags normally grow in the folds of your skin (think neck, armpits, groin, breast, eyelids, etc). So if you have one grow on your eye lid – don’t be alarmed. 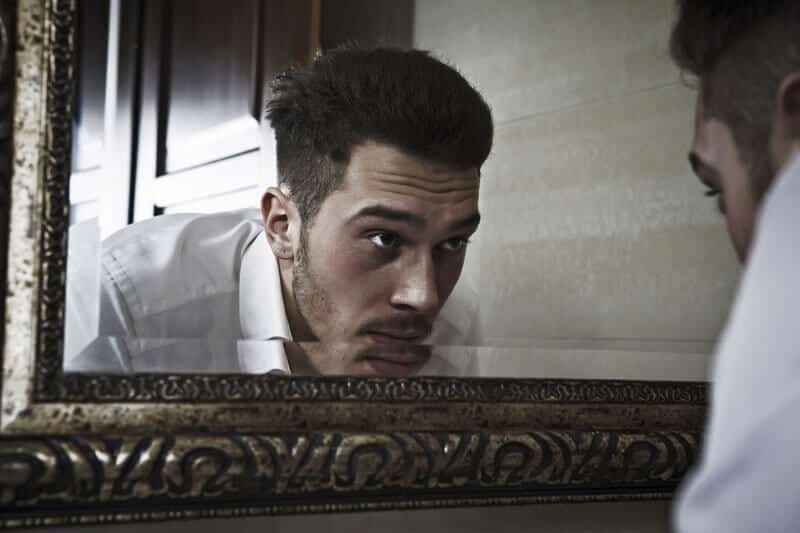 Sure you may want to have it removed immediately, but it likely isn’t causing any harm. I do want to state that you should always seriously speak with a dermatologist before removing any skin tags. I am not a doctor therefore consult with your physician before making any self-diagnosis. Being that skin tags normally grow in the folds of the skin, coincidentally, researchers have concluded that the general causes of skin tags is simply the general chaffing and/or rubbing of the skin against other skin as the culprit. This is why skin tags of any demographic are more prevalent in the older age groups – being that they are wrinkling and their skin is generally overlapping. Another demographic that has a higher rate of skin tag occurrence is with folks who are overweight or obese. Just like the older demographic, with the increased surface area of skin, there is a greater likelihood that it may be rubbing against itself, and therefore increasing the chances of a skin tag sprouting up. This was further proved in a 1999 study conducted, that there was a statistically significant finding resulting in a high correlation between skin tag growth and obesity. To be right to the point, there is very little you can do to prevent skin tags. It is a very natural phenomenon that occurs to our body – therefore there is no way to prevent it. However as going over the causes in the section above, we saw that the two demographics that seem to have a greater prevalence of skin tags was folks who are getting older or overweight. Unfortunately there is nothing we can do about aging yet! If you are overweight, shedding a few pounds will help prevent skin tags from occurring. Of course that is easier said than done, but in the long run it will help you out. As a side note, if you are trying to lose weight, I would strongly recommend you to check out this book – everyone that has followed it has seen tremendous results and a completely new outlook on life. I am not a doctor therefore you should see a doctor before doing any self-diagnosis. Skin tags are normally harmless, however should you or your family have a history of skin conditions – check with your doctor first to rule out any other possible conditions. Another note – removing skin tags typically isn’t covered by insurance as it is considered a cosmetic surgery. Therefore you may have to pay out of pocket in order for the doctor to remove them. This is where home remedies come in. 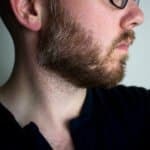 From my personal experience, I had a few skin tags when I was 20, the doctor simply told me what they were – and to remove them he simply hit the skin tag with liquid nitrogen and then opened up a new razor blade, cut it off, applied a bandaid and sent me home. Perhaps one of the most common remedies to remove a skin tag is by use of tea tree oil. 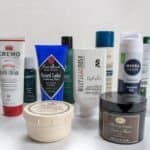 The reason for this is that tea tree oils is incredibly useful in drying out your skin when applied regularly. 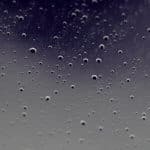 When you add the drying tendencies along with the natural properties of tea tree oil being anti-fungal and anti-septic in nature, when applied several times a day – about 3 times, for a duration of about 14 days, you will begin to see some general signs of the skin tag dissipating. Results can definitely vary from person to person. So if you aren’t seeing results after about a month of use, discontinue and try some of the other remedies below. Aloe vera has been used to treat a variety of skin conditions, most notably sunburns. However, aloe vera can also completely knock out skin tags altogether as well. Simply put, in order to remove a skin tag with aloe vera, you will want to go ahead and apply some of the gel/liquid from the plant (or bottle if you pick it up at the store), and rub it on to the skin tag. After rubbing it on, then you can place a bandage on top of it to make sure none of the moisture easily evaporates. Over time you will notice the skin tag begin to disappear. Aloe vera is also great at preventing skin tags from happening altogether. What doesn’t duct tape fix? When I first came across this method, I have to admit, I was a bit skeptical at first. “Removing a skin tag with duct tape? Are you serious?”. Not to worry, this doesn’t sound nearly as painful as you would initially think! 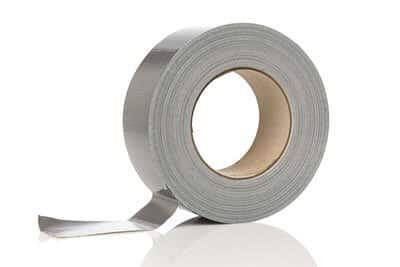 In order to remove a skin tag with duct tape you simply will want to cut out about a 1″ square of duct tape and place it on top of the skin tag itself. It works by simply drying out the skin tag altogether and it will eventually fall off. The average duration of treatment is about 10 days (give or take a few days). So when it comes to skin tags, this method is recommended to be under the supervision of someone else. When you cut off a skin tag, they bleed like crazy. If the sight of blood isn’t your thing, then you should definitely steer clear of this one. As mentioned earlier in the article, when I had my skin tag removed, the dermatologist used this method coupled with liquid nitrogen. After cut off, you would want to apply a band aid right away to make sure you clot that blood as soon as possible. This is one of the least favorite methods on this list but I figured its worth covering as it still is an effective use of getting rid of a skin tag. Onions oddly enough can be used to also remove skin tags. By onions, I specifically mean the onion juice. 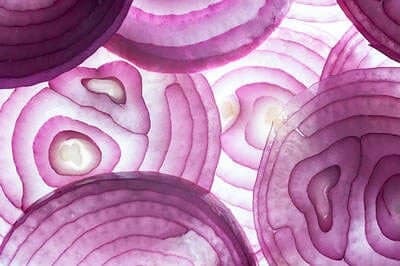 If you were were to cut a white onion in half and press it on your skin tag, you likely won’t get far, and you will just end up smelling like onions. Onion juice however is a bit different. To get started, you will want to dice up an onion and put it in a sealed container (think something like tupperware or the cheap gladware containers) with about a teaspoon of salt. Let the mixture of onion and salt sit for about 12 hours and then extract the juice out of the onion. Once you have a little bit of juice, you will want to dab it on your skin every night before you go to bed (be sure to apply a band-aid as well on top to keep in the juices). This will take about 10 days for the skin tag to fall off. One of the main gripes I have about this remedy is that it requires you to own an extractor. Which, lets be honest, not many people own them. Secondly, the other reservation I have about it is that it will make the applied area smell like onion. 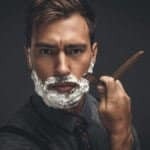 I don’t know about you, but that is the last type of smell I am trying to achieve when I am getting ready in the morning. 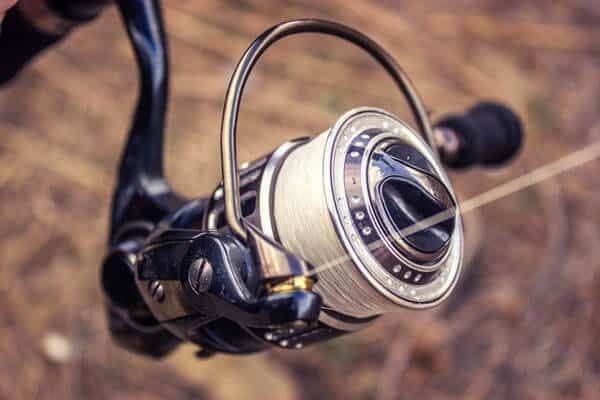 A fishing line is likely the best method to go with if you don’t have a lot of patience to be applying a substance on your skin several times a day for 10 plus days. With fishing line, this is a pretty straight forward method. Simply go to your tackle box, or pick up some fishing line, and tie the line firmly around the skin tag. Overall this is a pretty painless option to remove a skin tag. Give it a few days, and if you tied it on tight enough, the circulation will stop to the skin tag and it will eventually fall off. Using apple cider on a vinegar might sound a bit strange at first. 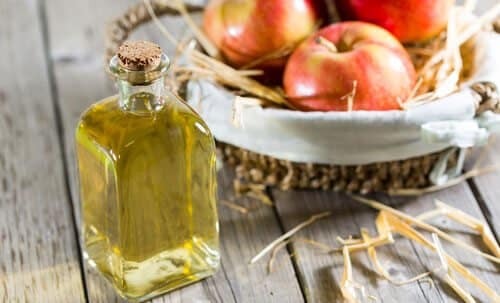 Apple cider vinegar just like the liquid from a dandelion stem below act in a somewhat similar manner in that its effective in drying out skin. To completely get rid of that skin tag, you will want to apply the apple cider vinegar a few times daily (think about 3 to 4 times) and slap a band aid on top of it. As a fair warning though, if you have sensitive skin you may want to steer clear of this method. The reason being is that apple cider vinegar is naturally a bit more acidic. Therefore when applied to your skin several times through the course of the day, you may in fact encounter some irritibility and dryness. 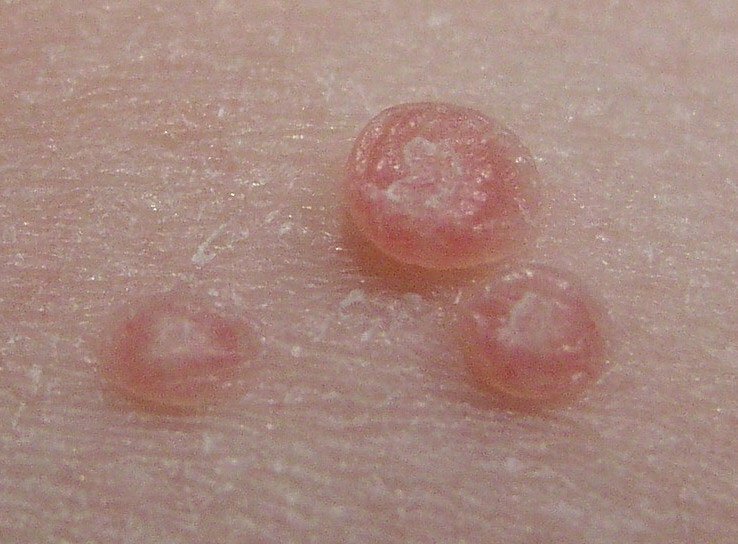 So proceed with caution when it comes to this home remedy on removing skin tags. Castor oil has been around for decades. While it was given back in the olden days for medicinal purposes, it still serves a great deal when trying to remove a skin tag. Unfortunately for this method, this really puts the ‘home’ into home remedies. 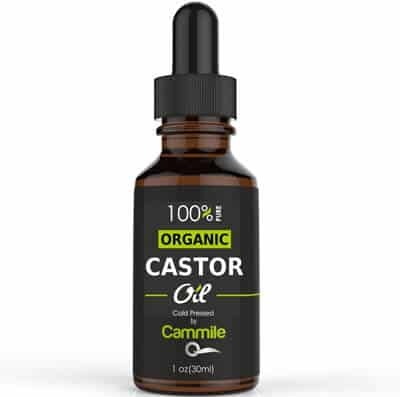 This is due to the fact that in order to remove a skin tag with castor oil, you are going to want to apply it several times daily (about 10 times). With time and patience it will completely remove that unsightly skin tag. For added effect, mix the castor oil with a bit of baking soda before you hit the sack at night. Just make sure you slap on a band-aid or wrap it up with a bandage once your done. 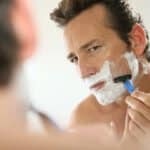 When you mix castor oil and baking soda together, it will help speed up the process on removing the skin tag. This is actually a pretty effective method for removing a skin tag strictly through a solution. 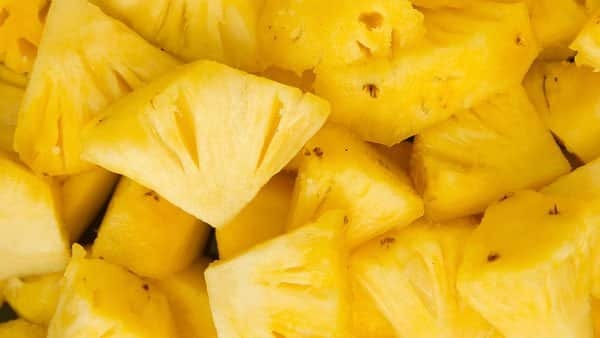 To remove a skin tag with pineapple juice, you will simply want to pick up a can of this stuff at the store (make sure its 100% pineapple juice and not loaded with fillers). Apply the juice to your skin a few times a day for about 1 week. After about a week, you will notice that your skin tag will quickly dissipate. 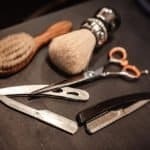 Being that this is a fairly short duration of application and the frequency that you are applying the pineapple every day, you don’t necessarily have to apply a bandage after every application. This method closely mimics that of the onion juice method. 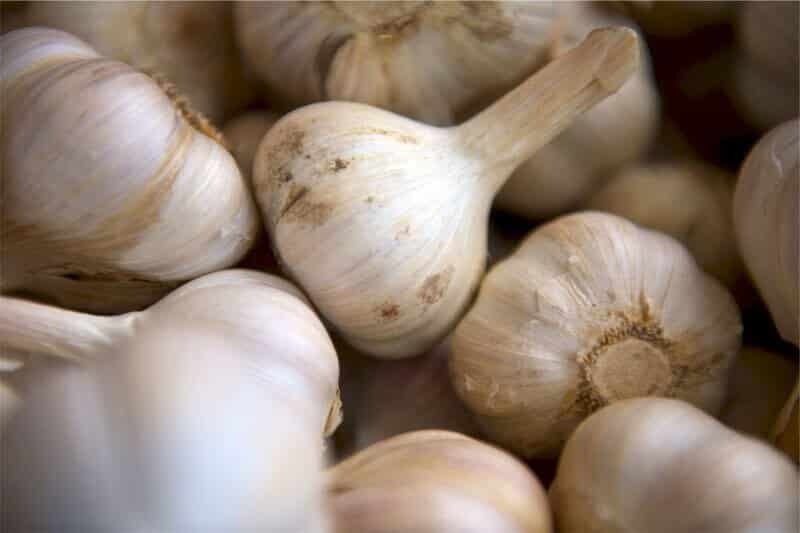 Simply put you will want to crush a several cloves of garlic, apply a dash of salt to the mixture. Seal it up in a container and let it sit for about 12 hours. 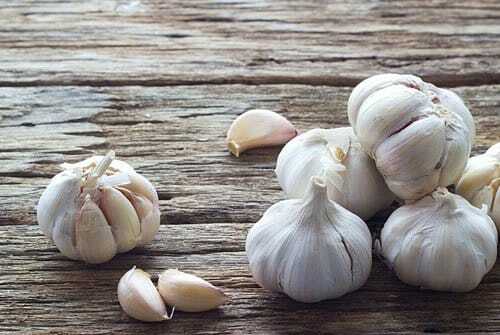 Once the time has passed, you will then want to extract the garlic juice out of the cloves. Afterwards, you will then apply the garlic juice several times a day for about 10 days. Again just like the onion method, this remedy is pretty low on my list simply due to the extraction process and that you will smell like a piece of garlic bread (maybe that isn’t a bad thing). One of the more stranger ways to remove a skin tag could be growing in your very own back yard. Especially if you haven’t mowed the lawn in a bit! 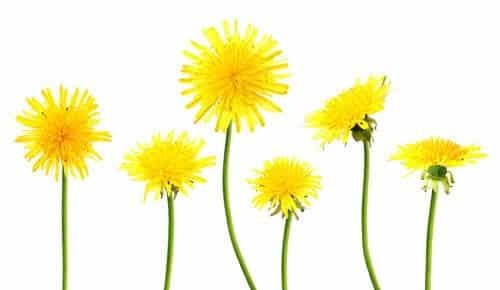 Dandelions are everywhere, and oddly enough, they can be used to completely get rid of a skin tag. However in order to do so the task is a bit more higher maintenance. Simply put, you would want to grab a few dandelions, and squeeze them together (either by hands or between two flat surface objects) and squeeze out the milky liquid from the stem. You will want to drip the dandelion juice on to your skin tag about 3 to 4 times a day. Once the juice has been applied, you would want to slap on a band-aid in order for the skin tag to fully absorb it. If everything goes well, the juice from the dandelion will dry up the skin tag and ultimately fall off. Bloodroot is a natural remedy that is used by naturopathic physicians to treat several types of skin aliments – skin tags being one of them. 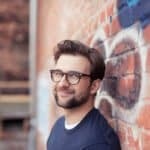 This method is pretty effective, however is a bit more costly compared to the other methods outlined in this article. In order to remove a skin tag with bloodroot paste, you will want to apply it to your skin several times a day for about 10 days. Be sure that every time you do apply the paste to your skin tag, that you wash it thoroughly. 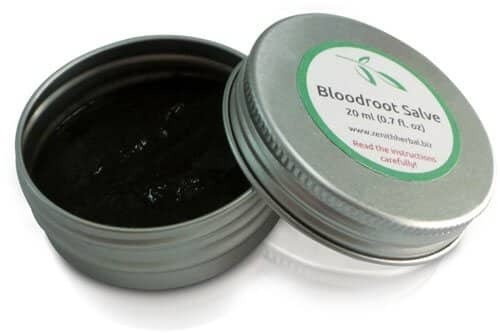 Once you do apply the bloodroot paste, you will want to make sure that you wrap up a new bandage with it as well. Bloodroot paste can be found in your local herbal store and in major online retailers. 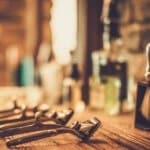 Home remedies are one effective way to get rid of skin tags – another quicker way would be to use products designed specifically for their removal. One of the go to favorites for men and women everywhere is Dr Scholls Freeze Away. This stuff has been around for years and works phenomenally well. 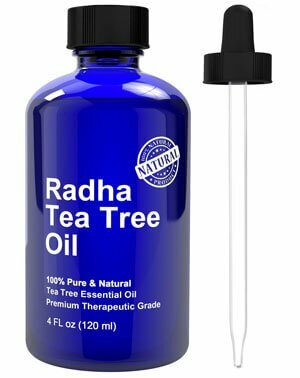 If you have smaller skin tags you want to remove, you can simply use this product and perhaps have it gone in as little as one treatment. Don’t get discouraged if it doesn’t come off in the first treatment, it typically comes with 7 treatments in the box. So after giving it a few tries, you should be skin tag free. Another popular over the counter solution is Compound W. Personally I would steer clear of this one given its overall effectiveness. It typically takes a couple of weeks for the skin tag to be removed, and you do have to apply it on a regular basis. If you were to choose between Compound W and home remedies, save the few extra bucks and do the home remedies. As we found out, many of the home remedies have a large time investment with them. You saw that several of them take up to a couple of weeks before the skin tag is fully removed from your body. If I were choosing between home vs OTC solutions, and budget wasn’t a huge barrier, I think I would personally go with the Dr Scholls Freeze Away remover. Simply due to speed and low maintenance. You can zap a skin tag away in as little as a Saturday afternoon. 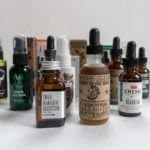 But if you are hesitate on using a medicinal solution, or don’t want to spend the money, there are several home remedies that should hopefully have you covered.